On March 1, a revision to NIOSH labeling requirements went into effect for air-purifying and powered air-purifying respirators submitted for NIOSH approval. The requirements were set out in a letter to respirator manufacturers dated July 19, 1995, which stipulated that separate approval labels must be placed on both filters and cartridges. A new “conformity assessment interpretation notice” states that NIOSH “will no longer require applicants to provide separate full filter and cartridge labels” beginning March 1. Read more on the website of the NIOSH National Personal Protective Technology Laboratory. 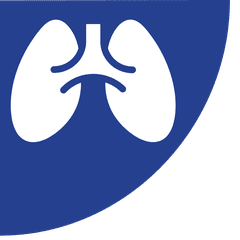 A separate “conformity assessment notice” released in February consolidates and updates information about the content and meaning of a NIOSH respirator approval. NIOSH will issue approvals only for complete respirator assemblies or combination respirator assemblies that meet the minimum requirements set forth in the regulation. Only the NIOSH approval holder is authorized to use the NIOSH approval label, and that holder is obligated to define proper use and maintenance procedures, maintain the production quality, and provide replacement parts in accordance with the approval. NIOSH also revised its August 2018 conformity assessment notice to update stakeholders about important information provided in user instructions for self-contained breathing apparatus, supplemental informational inserts, and on labels, including safety precautions and warranty information. The revised notice is available on the agency's website.